While airline passengers complain about everything, their principle concern is simply getting to their final destination. Seriously, that movie franchise is shockingly popular. But really, getting there on time, in one piece (unlike the movie characters), without hidden fees, is what flyers value highest. So which airline is the most reliable? Well, travel site WanderBat crunched the numbers and found Qatar Airways came out top dog. The study factored in on-time performance, checked baggage cost, and the average age of the airline's fleet. 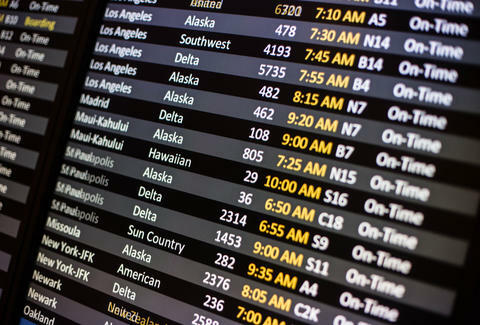 Additionally, airlines with the same score were then ranked according to their percentage of on-time flights, netting a list of 22 reliable airlines around the world. While Qatar Airways came out as the clear winner with a perfect score of 100, the battle for second came down to Emirates and China Eastern, with Emirates's on-time record narrowly giving it the edge. Only one American airline made it on the list, with Southwest Airlines coming in at no. 17 and an overall score of 84. Surprisingly, Malaysia Airlines came in at no. 16 on the list, despite the tragedies the airline endured in 2014. Check out the rest of the top 22 and their respective scores. And think twice about which airline you're flying the next time you book your flight.